Recently, there was a thread on Reddit where hiring managers told the internet about some of their worst job interview candidates they’ve ever had. After hours of sifting and searching, we’ve created a shortlist of the worst of the worst in order to help you learn from the mistakes of others and give you some solid interview prep. It’s important to treat your time as a precious and valuable commodity. After all, you only have so much time here on this Earth and it’s important to waste as little of it as possible. When an interview doesn’t go your way and you find out you didn’t get the job, it’s understandable to be upset or frustrated at the time that was lost. However, it’s completely unacceptable to send a company an invoice for the time you lost for the job interview! Reddit user rulerofgummybears described an instance where a candidate not only sent an invoice for the “time wasted” in the job interview, he billed them for FIFTY HOURS of work! Needless to say, the invoice was not processed for payment. There’s nothing like having close ties with your family. However, sometimes being too close to your family is a bad thing. There are some things in life that you need to do on your own and a job interview is one of them. User spaghatta111 says that having your parents come to the job interview is one way to torpedo your chances at the company. Show hiring managers you’re responsible and autonomous by coming in and wowing them on your own. You can tell mom and dad all about it as soon as it’s over. One of the most valuable job interview tips you can ever receive is to never lie in an interview. It’s even worse to lie on your resume, as there is written proof of your lie that might not only lead to you getting fired later down the road, it may even lead to legal trouble. Back2Bach describes an instance where a candidate wrote that they received a Master’s from Yale University, but when pressed for details was found to be lying. Stick to the truth and you won’t get in trouble. Okay, so yes, we just said that you should always be truthful in your interview, but there is such a thing as being too truthful. Spare interviewers unnecessary, embarrassing, and potentially incriminating details. JeF4y told Reddit users about a time where a candidate interviewing for a position in telecommunications made a huge mistake and cut off power to the entire office building. Instead of owning up to his mistake, he then fled the job site, only to come back a short time later and be lauded as the hero who came to save the day. The lesson here? There is such a thing as being too honest. Choose what stories you tell interviewers carefully. Some jobs require you to do some physical labor as part of the job description. If you’re not physically up to the task, the usual etiquette is to explain to the interviewer what your situation is and why you can’t do that part of the job. However, jim51riffe got a lot more than they bargained for when a candidate removed their shoes and socks to show them the scar on their foot to explain why they weren’t physically able to fulfill that part of the job. This usually goes without saying, but be sure to keep all of your clothes on during a job interview. If you’re interested in seeing what other job interview horror stories people shared, check out the entire thread here. 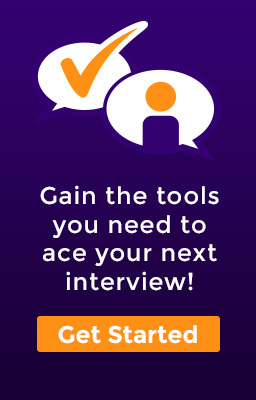 For more job interview tips, click here to create an account with Aced My Interview.